For Labor Day weekend, we headed to Disneyland with my mom and my brothers for our annual trip. The kids and I had annual passes from January, 2017 through February, 2018, but we (read: our budget) decided to take a break from them until we get our Premier Passports next year. So we have a relatively long time now in between trips! First off, I bought the tickets for this trip back in February, since that is the time when Disney tends to raise their prices. While I saved lots of money, there was a bit of a hiccup by doing it this way. Disneyland hosted Pixar Fest from April through, you guessed it, Labor Day. Now we are big Pixar fans. 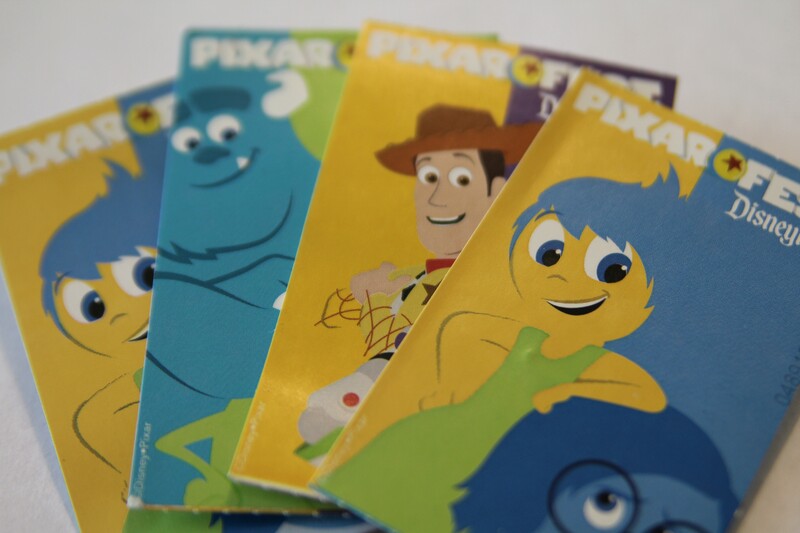 Pixar is definitely our number one Disney genre. I had already booked a couple of options for hotel rooms, but for Halloween time during the kids’ October break. When we found out that Pixar Fest was through Labor Day weekend, we decided to go a month earlier and skip Halloween at the Parks this year. The problem with the tickets was that instead of needing an adult ticket for Halloween time, Maggie only needed a kids ticket since she was turning 10 in between. I looked into saving the ticket for next time (and upgrading it to our Premier Passport) but it turns out, the price increase was so drastic that I still saved money by buying her an adult ticket back in February! 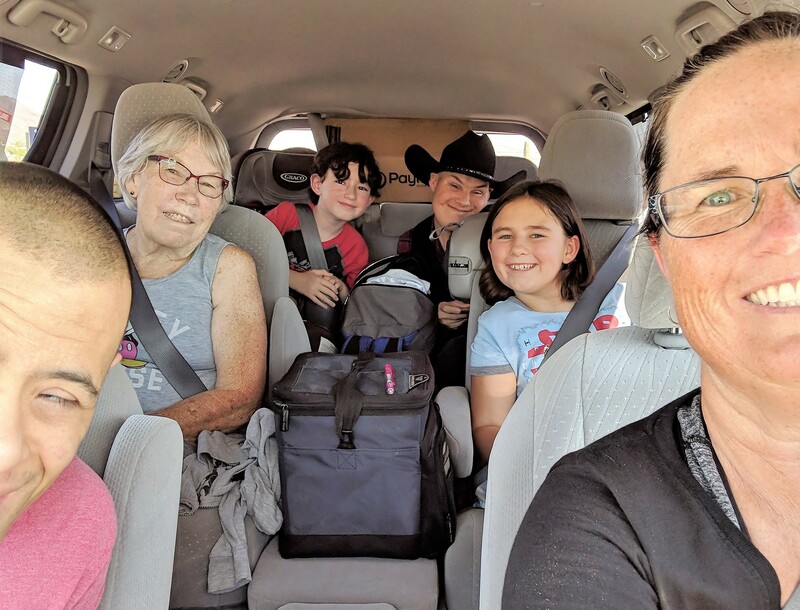 Since there were now six of us instead of three on this trip, we needed to rent a van. My dad has a van, but it is several years old, and I prefer to put miles on something that we can borrow and hand back over. I used AutoSlash, of course, and found a great rate at a neighborhood Budget rental place. I even booked and rebooked a couple of times to lower the rate further. I wish I would have looked into doing two one-way rentals, because the van sat in the lot at the hotel, racking up daily parking fees and not getting used at all. I suppose if we would have had an emergency, it would have come in handy, but there’s always Uber or Lyft for that. A big portion of our transportation budget is on gasoline, but using GasBuddy helps tremendously on a trip like this. I can have my passenger look up a station in the next town and be sure we’re not going to save more by waiting a few more exits to stop. This is especially true when going from Arizona to California where the price of gas can jump over $1 by crossing the border. We always stop and fill up in the border town, and I even have my favorite station that has good prices and clean bathrooms. 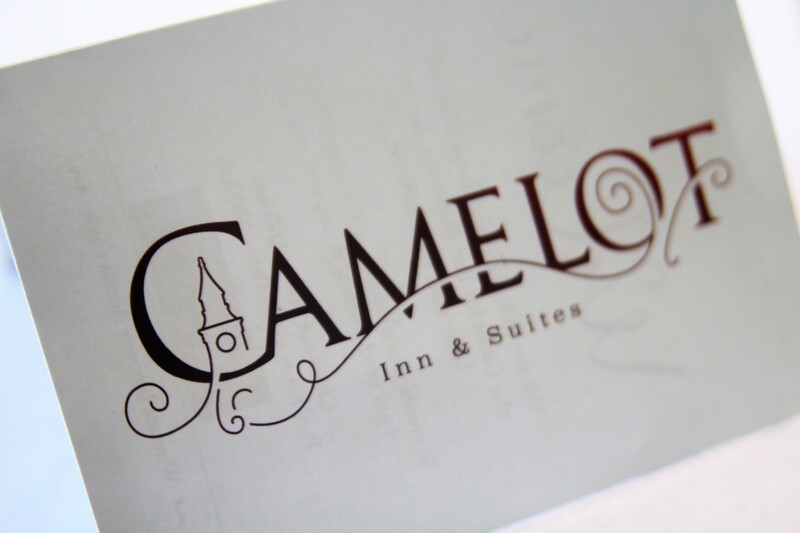 We stayed at Camelot Inn & Suites, just a couple of steps away from the crosswalk to Disneyland on Harbor Boulevard. We really liked the location, and ultimately chose it over saving $125 each to stay at the Best Western Raffles next to the Toy Story lot and have to bus or walk back and forth. However, we did save money on our hotel in September verses the same reservations for the October trip. Since the location was so great at this hotel, we weren’t expecting much else. However, the room was a lot better than expected. On their website, you can take a virtual tour, but those cameras can distort things and make everything look bigger. Well, this room was bigger! We had booked the family suite room type, and it was like having connecting rooms, but with only one bathroom and one exit door. We did alright with sharing the bathroom, and having a door to close in between the rooms at night was a necessity. Click here for a room tour before we moved in and here for a room tour with our things in the room. One way we save on hotels is by booking longer stays with Citi Prestige’s 4th Night Free benefit. 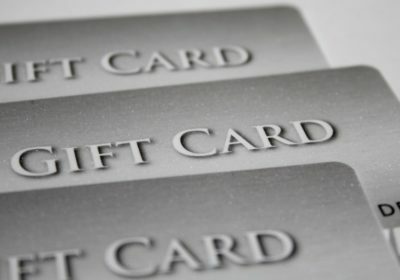 This card is not for everyone, since it is a premium card with a $450 annual fee. However, we make that back and more with all of the benefits and perks, including a $300 credit back on airfare, along with the 4th night free. We got $210 back on our room for this stay alone! One thing we look for in a hotel is free breakfast. We gave that up by booking at the Camelot, but we didn’t miss it too much for a couple of reasons. Number one, it’s much easier to pack food for a road trip. I’m not saying I didn’t have to use my mad MacGyver skills to get all of our stuff into the van, but at least we weren’t flying. Number two, the room had a full-size dining table with four chairs and each room had a mini fridge. I still kept most of the food in the cooler, because the mini fridge didn’t seem that cold. Our general rule of thumb while on trips, and especially at Disneyland, is that we allow ourselves to eat one meal and one snack while out and about. That usually translates to: eating breakfast in the hotel, either free or having supplies, then having a meal and snack while touring, and then eating something when we get back to the room. I try to limit the snacks/meals in the room to very healthy options since we’re not likely to eat healthy in the parks or while touring. This has worked out well for saving money, bringing less food on a trip (especially if the hotel provides breakfast), and on our stomachs since eating out all the time can be too much for your system to handle. The kids have plenty of options for snacks to pack in their daypacks to eat during shows and standing in lines, and we bring fresh veggies & dip, fruit, cheese, and fixings for quesadillas, wraps, and sandwiches for in the room. Last year, the kids and I were spoiled by the seasonal AP popcorn bucket with $1 refills. 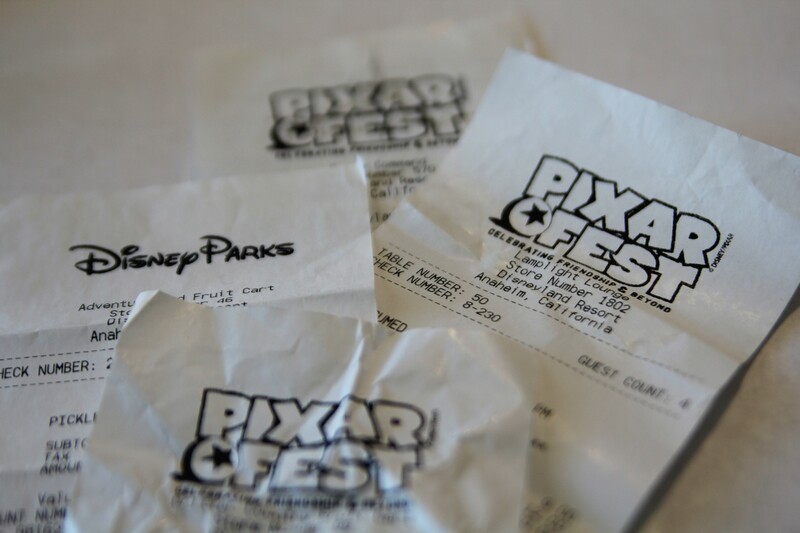 This year, sans our APs, we saved ourselves from having to pay $4 a box by bringing a big bag of popcorn from our local movie theater and packing it into the parks each day in our souvenir buckets! You’ll notice in my budget that we spend very little on souvenirs. I don’t like shopping or buying knicknacks, and the kids use their own money for anything they want to buy in the parks. I will wait for sales at the Disney store to buy shirts, but otherwise, we don’t spend too much on things while there. 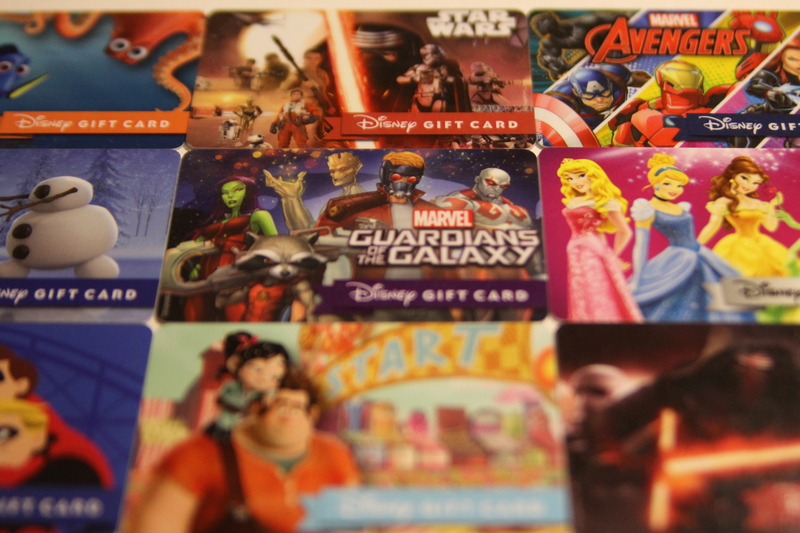 In between each Disney trip, I amass as many Disney gift cards as I can at a discount. 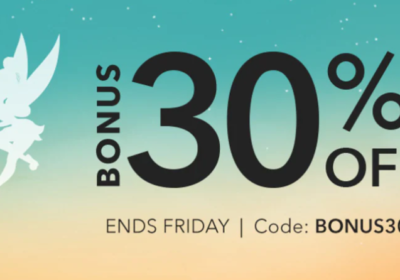 I keep track of my earnings on Swagbucks and the like, and purchase gift cards at an advantage or discount as the opportunity arises. In this way, I can plainly see how much of a discount I am getting by the time the trip rolls around. This time, my savings percentage was 33.98%. That means that for everything I could use a Disney gift card for (tickets, food, souvenirs), I was paying 66.02% of the total amount. This brought the price of tickets down immensely, saved us quite a bit on food, and the kids were able to stretch their allowance dollars further. So there’s our trip in a budgeting nutshell. You can see all of our expenses in the spreadsheet below or by clicking here, the charts here and here, and our itinerary here. Stay tuned tomorrow for Part 2 of our Trip Report including what we did each day and all of our photos!